I would have to say pink and aqua along with a splash of brown is probably one of my all time favorite color combinations. 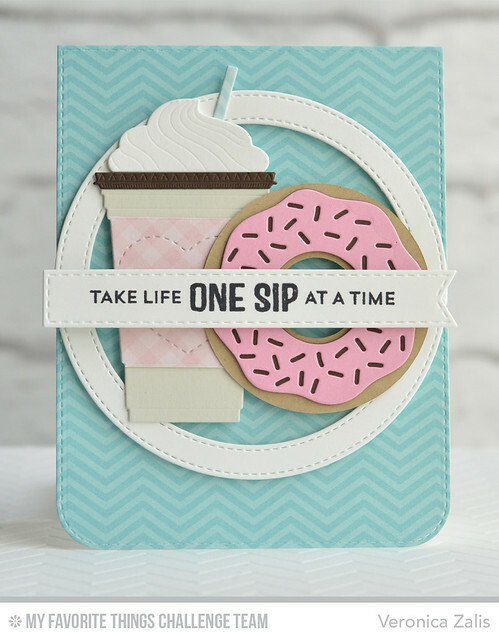 And it works especially well with a pink frosted donut! (My favorite kind.) I'm happy you stopped by, and I hope you get a chance to create something fun ASAP! Have a great day!